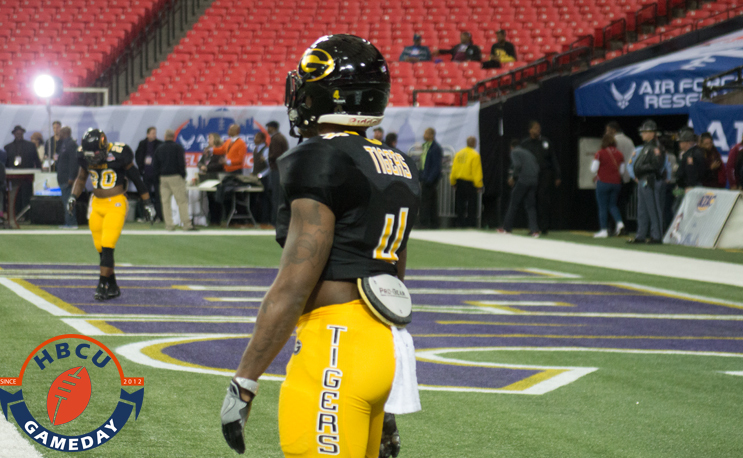 Grambling’s stud running back has received the first of what will likely be several postseason all-star game invites. There’s still almost half a season left to play for Grambling, but running back Martez Carter’s postseason plans are already starting to shape up. Carter has been invited to the NFLPA Bowl, according to a report by The News Star. The game will be played at the Rose Bowl on Jan. 28th. The senior running back from Monroe, Louisianna was a preseason All-SWAC selection and a member of the preseason HBCU Gameday All-American team. So far this season he’s run for 441 yards and five touchdowns. He’s also a pretty fun follow on social media. Prior to the season, we said that he along with Howard’s Anthony Philyaw and Virginia State’s Trent Cannon all had a great shot of getting picked in the 2017 NFL Draft. So far, Carter has made us look pretty good. Carter’s former Grambling teammate Chad Williams used the NFLPA Bowl as a springboard to the Senior Bowl and ended up getting picked in the third round by the Arizona Cardinals earlier this spring. Former A&T stud running back Tarik Cohen also participated in the NFLPA game last year as did former Southern running back Lenard Tillery.